Mumbai : Dentzz Dental Care Centres,has been recently ranked 1st in Mumbai in the recently conducted Times Health Survey, 2016, in the Dentistry Category. The survey comprised of two major modules like Perceptual Rating Survey and Factual Survey and was aimed to rank and rate lifestyle hospitals and clinics in respective therapeutic areas viz Diabetology, Orthopaedics, Bariatric, Trichology, Skin & Dermatology, Cosmetic & Plastic Surgery, Dentistry & Ophthalmology. A sample survey of 900 was conducted in select cities of Delhi-NCR, Mumbai, Chennai, Kolkata, Bangalore, Hyderabad, Ahmedabad, Chandigarh, Pune, & Lucknow. There were two main respondent categories those who are the experts in their therapeutic areas (Experts) and those who have undergone for elective procedures/ treatments (Active Users). The respondent categories included Experts, Consultants/ Surgeons from respective therapeutic areas, Active Users and past as well as current users of lifestyle therapeutic areas. The survey included a perception questionnaire which was disseminated to respondents who were provided a list of parameters to evaluate the hospitals/ clinics & rate on a scale of 1-10 where 1 was poor & 10 was excellent. With its highly skilled & reputed panel of specialist dental surgeons. The Dentzz Dental Care Centres that offers a wide range of specialized services by crafting super stunning smiles has been recognized as a centre that outshines in treating patients with high level of care. “We are gratified with this achievement. This validates our daily commitment to providing the best health care possible,” says Dr. Shantanu Jaradi, Founder, Chairman, Dentzz Dental Care Centres whose entrepreneurial drive and quest for innovation, enthused him to establish Dentzz Dental Care Centres. Under his leadership the cosmetic & aesthetic conglomerate has transformed and grown organically not only in India with centres in Mumbai & Delhi but also in the Middle East and is recognized overseas in Europe, Australia and New Zealand. The centres maintain an ultra-hygienic & strict standards of sterilization and has won accolades in India. 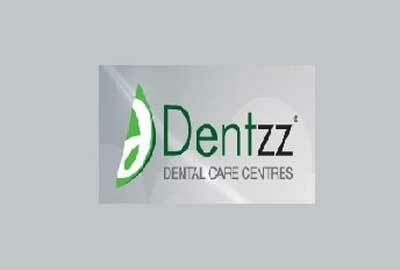 Dentzz Dental Care Center’s, Kemps Corner clinic is one of the centre in India that boasts of an in-house 3D CT machine. The Dubai Lab has skilled technicians from Germany & Italy who facilitate the patients with an option of fabricating dental prostheses for individual patients. The centres host’s an affable environment set in a luxurious ambience which is very relaxing & soothing like being in a lounge while one is being treated with no pain.